December 1st. Really? Hello advent chocs and hello to real winter. 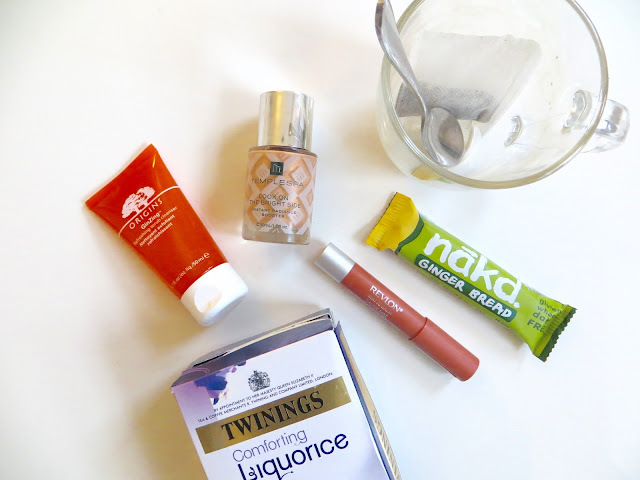 Autumn passed in the blink of eye, it's been such a busy season full of the daily grind, a few surprises, and these new fave products I have to share! Roll on the excitement and the magic of Xmas, not forgetting to schedule some time for feel good food and beauty and a headspace for chill time. 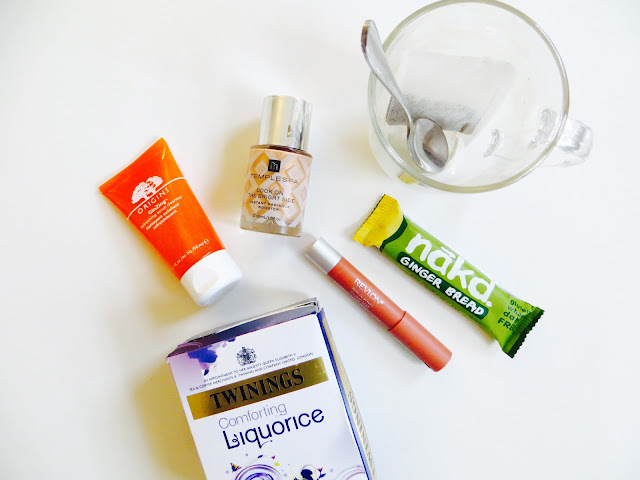 Origins Gin Zing - The Gin Zing collection from Origins has been a staple in my skincare for a couple of years now, but this month is the first time I've had the pleasure of scrubbing my face with the exfoliator. It is really refreshing, but not too abrasive and cleanses skin so well. I've been using it a couple of nights a week. I feel it's most satisfying to use the morning after you've had a lot of make up on, for example after a night out. It thoroughly cleans your skin prepping and awakening it perfectly for moisturiser. 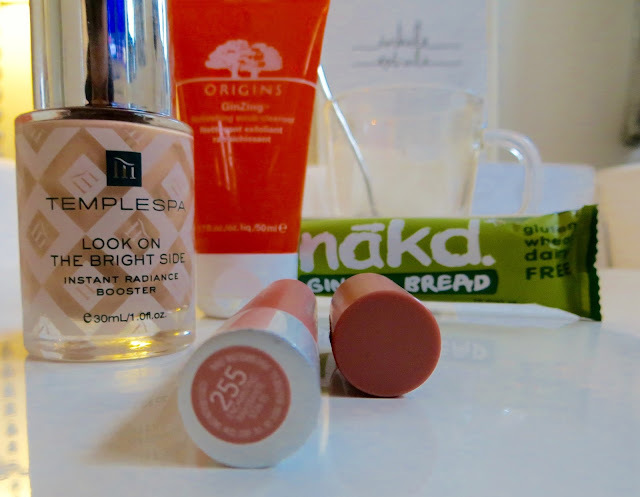 Temple Spa Look On The Bright Side - This is definitely a new favourite product for tired, pale winter skin. It does just what it says; Instantly radiates and boosts. 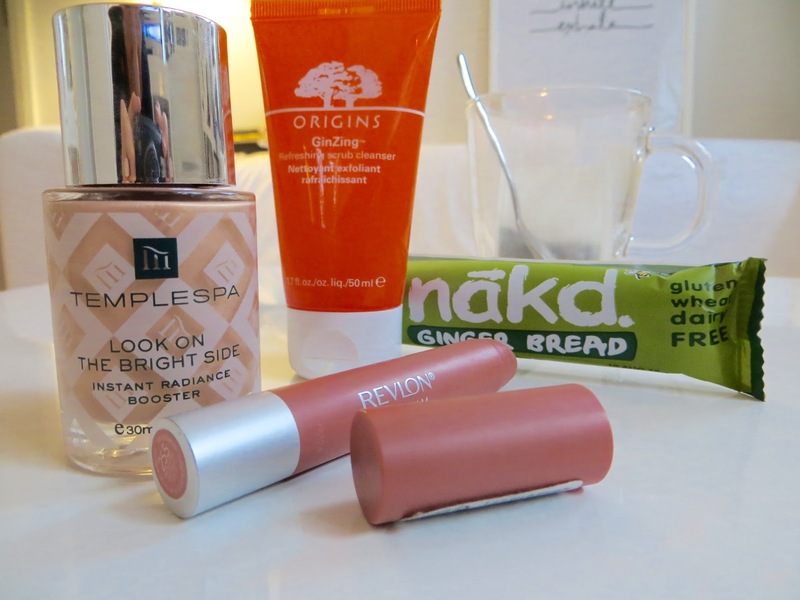 I've been putting it under my foundation and found it works nicely to illuminate and freshen up your skin. It soaks in so well and doesn't leave you overly glittery, more glowing. You could also use it as a highlight on top of your face make up. 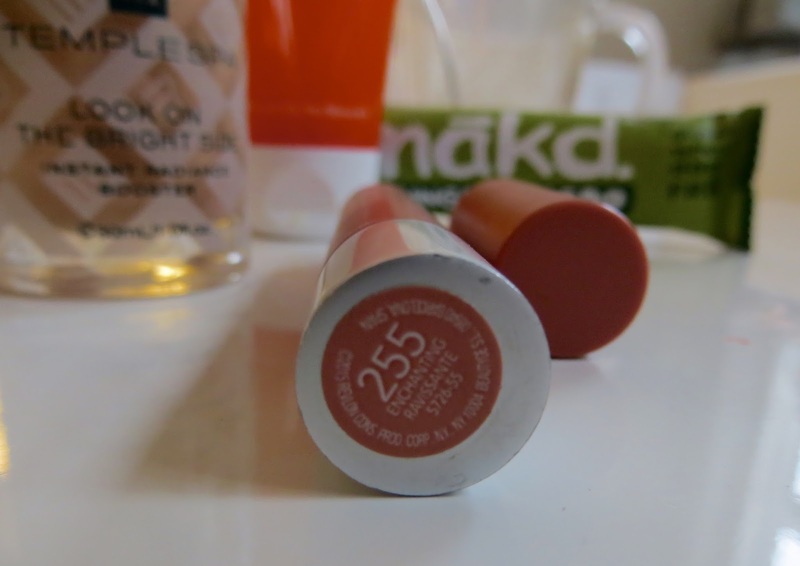 Revlon Matte Balm 255 - This is possibly one of the best budget beauty buys of the year! 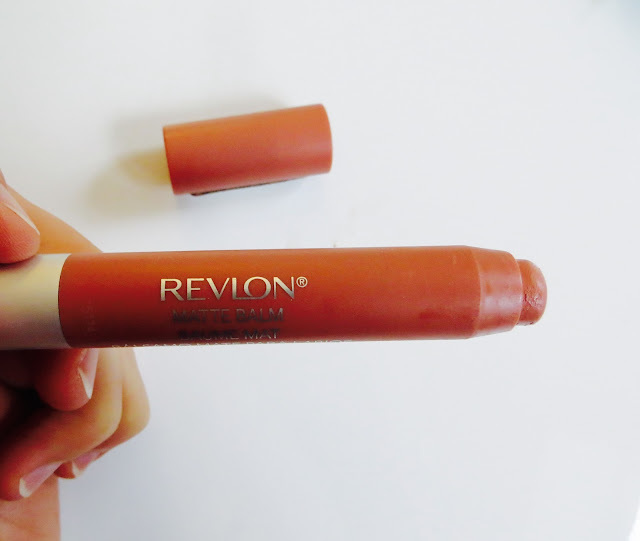 It's buttery soft, richly pigmented and combines the best of a blam and matte lipstick. It doesn't dry your lips out but the colour lasts more like a lipstick. I've been loving "Enchanted" as my everyday autumn staple. Nakd Gingerbread Bars - Healthy snacks on the go I can pick up on the way to work/ after the gym feature heavily in my diet, especially during winter. I know the sugar content in Nakd bars is super high due to the dates, but if you fancy something sweet then these are a must try. They literally taste like Xmas. They contain cloves, cinnamon and ginger which makes them taste more indulgent than they are and perfect with a cup of coffee when you need a kick.